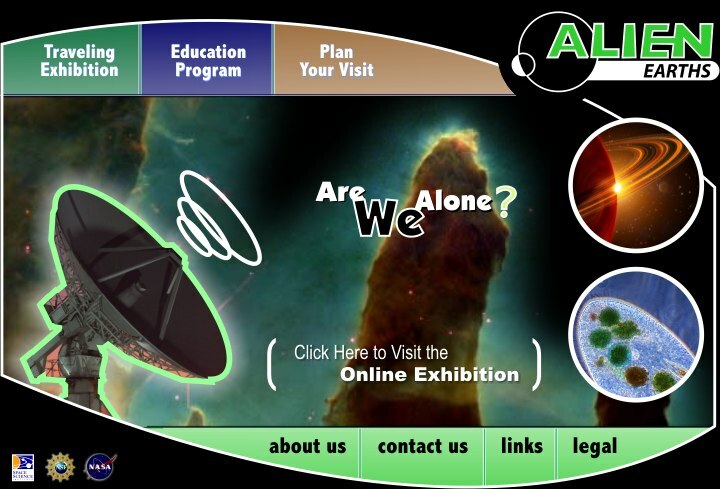 This is the archived page for the Alien Earth’s traveling exhibition. While this exhibit is no longer traveling, please feel free to peruse the educational information on this site. To view the currently maintained education site, please visit http://www.alienearths.org/. © 2006 Space Science Institute. Support provided by the National Science Foundation and NASA.